How Far is DAC Raayar Kudil? 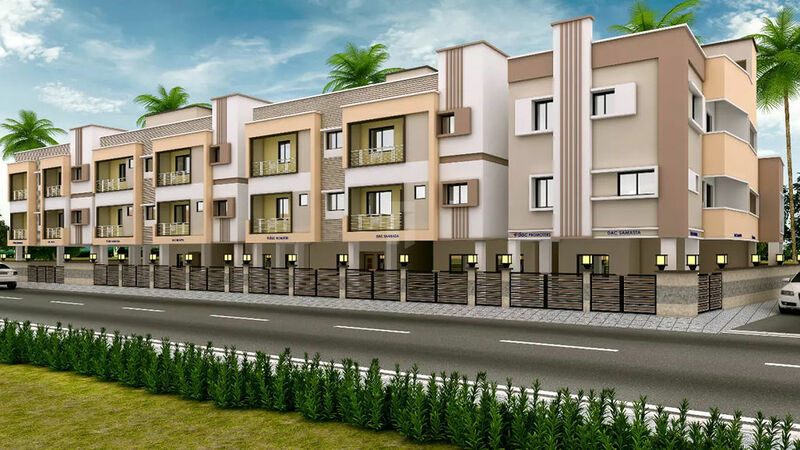 Built in East Tambaram, Chennai South, DAC Raayar Kudil is a residential development by DAC Promoters. The project is sufficed with all basic amenities and covers 2BHK and 3BHK apartments. Being close to all necessities, it has good connectivity to the rest of the city. Entire flat 2’x2’ vitrified tiles Johnson/ Kajaria / Somany / Equivalent flooring in all bathrooms will be 1’x1’ Anti-skid tiles. Other Doors : Commercial Plywood shutters with good quality of teak wood frames. Toilet Doors : One side polyurethane coated flush door. External PVC piping (Finolex / Astral / Prince / Equivalent) and internal CPVC piping (Astral / Prince / Equivalent). All CP Fittings will be Jaquar / Equivalent. Ceramic dado tiles upto 7’ height.